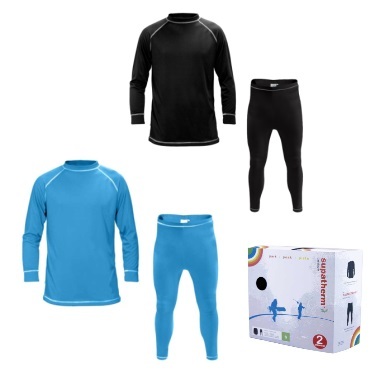 A great baselayer top and pant that will keep you both dry and warm whatever your sport. Made from lightweight 100% wicking polyester. Flat lock seams ensure comfort against the skin. Insulates and retains body heat. Set contains 1 x Top and 1 x Pant.